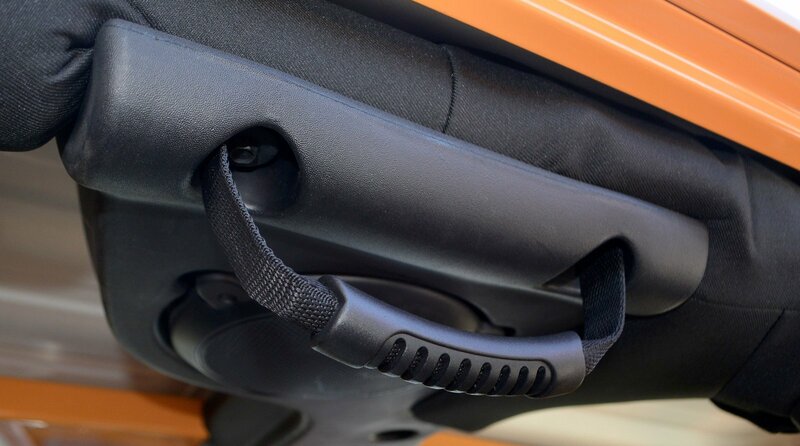 The Poison Spyder Rear Bolt-In Grab Handles attach to the existing sound pod fasteners above the rear doors of your Wrangler JK Unlimited 4 Door. They provide a convenient handle to assist you with climbing into the Jeep as well as a way to safely hang on while traveling rough terrain. 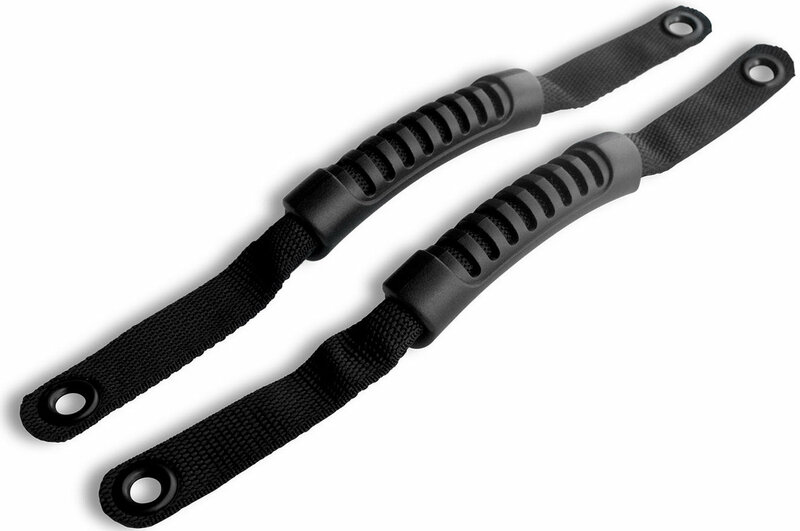 Made of high quality nylon webbing with sturdy injection-molded handles. Proudly Made in the U.S.A. Very easy to install. Put together better than a previous brand that I purchased. Very pleased with the product. Looks great! Cleaner look than the strap handles. 5 mins to install.